Did you know that Ragú® Old World Style® Traditional pasta sauce has two full servings of veggies in every half cup of sauce? How hard is it to get kids to est their veggies? Ragú® is trying to help mothers get those kiddos eating their veggies. We all know all the trouble we have with our busy schedules, dinner planning and etc..., where are the solutions? That's why Ragú® is launching "Mom's the Word on Dinner," an online community for moms to laugh, learn and share their take on what really happens at dinnertime. Go to facebook/ragusauce. On the left hand sidebar until the profile picture, click on the Mom's the Word on Dinner. Do your kids have odd eating habits? Every night Mom faces a new set of dinnertime challenges that only another mom can understand, which is why this year, Ragú® wants to know: Moms - what really happens at dinnertime? Each month real moms will tackle topics from kids' odd eating habits at the dinner table, to getting them to eat their veggies to what's being discussed during dinner, with some tips from parenting expert, Dr. Michele Borba, and Registered Dietician, Dr. Felicia Stoler. 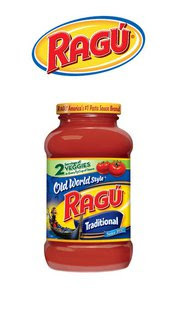 You can can join the conversation and tell your story for a chance to be featured in a Ragú® ad in PEOPLE magazine at Facebook.com/ragusauce. So let's all join in and help each other. I know I could use some quick tips on making my dinner work with my busy schedule. ***Disclosure- I was entered for a chance to win a Ragú® prize package in exchange for this post. No monetary compensation was receive.